“The goal is to get rid of those forms we all dislike to fill out when we get to the doctor’s office, thereby speeding up the process, making it more convenient for the patient and increasing data accuracy,” says Steve McRae, CEO of PatientID+ partner Merchant360. 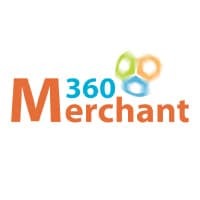 NFC specialist Merchant360 has teamed up with medical systems suppliers Health Portal Solutions/TPA Benefits and The CliniCard to develop PatientID+, an NFC-based solution that is designed to streamline patient identification and payment processing. PatientID+ uses NFC technology to allow healthcare providers to verify identity, check health care eligibility and process payments when a patient first arrives at a hospital, doctor’s surgery or other health care provider. Each patient’s identity, benefit and payment information is stored on a PatientID+ contactless tag or in their NFC phone. The patient then simply enters a PIN to access and transmit the information to the health care provider on arrival.